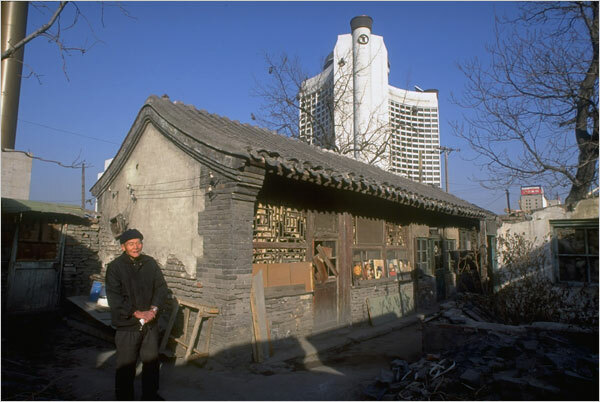 Preparations for the upcoming Olympics didn't launch the transformation of Beijing's traditional neighborhoods — it started long before — but they are definitely accelerating those changes. An excellent film depicting these changes in China is "The Shower," about a family-run bathhouse trying to stay afloat (pun intended) in an old neighborhood as the juggernaut of modernization comes rolling unstoppably into town. Highly recommended. Joe Bob — I mean, Mellow Monk — says check it out! "Sure, it blocks the sun, but the Sunday buffet there isn't bad." Alright, which one of you wise guys put the eel in my drink? 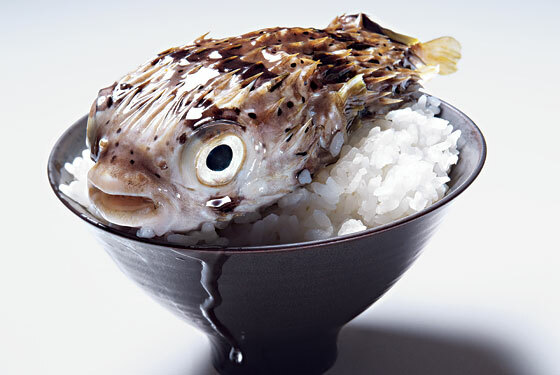 In Japan broiled eel is considered a "summer stamina" food — something that gives you energy in the oppressive heat but without weighing you down. So, for those folks unable to stop by their local unagi-ya, a beverage company created the next best thing: broiled eel-flavored soda, named "Eel Rising" (Unagi Nobori). Even the name suggests power and energy. Don't you feel invigorated already? This could be one of those times that you actually hope it's artificially flavored. 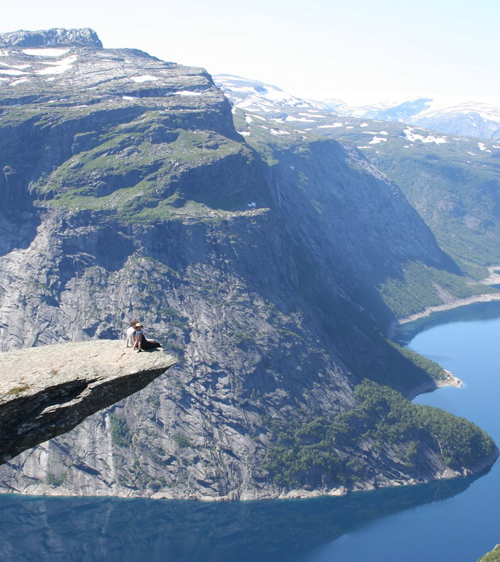 We human beings tend to worry too much. That's just the way we are. Trust me, this illustration will make a lot more sense after you read the article. 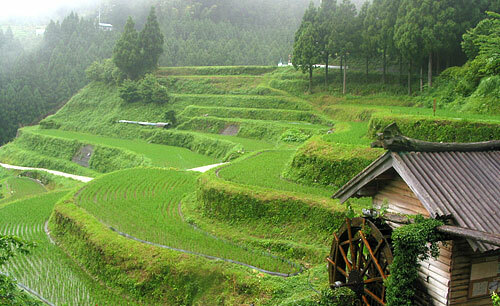 Situated at Japan's geographic center, the city of Shibukawa is known as "Japan's bellybutton." So naturally, every year the town holds a Bellybutton Festival (Heso Matsuri). "Dad, you promised you wouldn't embarrass me today." The sugar/carbohydrate fructose is widely used in mass-market sweet snacks and beverages (such as sweetened green tea) because of its low price. The carbohydrates came into the body as sugars, the liver took the molecules apart like tinker toys, and put them back together to build fats. All this happened within four hours after the fructose drink. As a result, when the next meal was eaten, the lunch fat was more likely to be stored than burned. In other words, not only does the liver turn fructose into fat more easily, but once that molecular process is set up, any fat you consume after that is more likely to be stored as body fat than burned for energy. So this is yet another reason to avoid those sweetened green tea drinks. Of course, even unsweetened bottled tea (if you can find it) isn't that great, either. 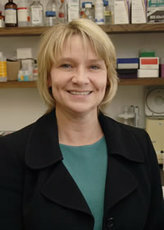 Dr. Elizabeth Parks, who headed the UT Southwestern study on how fructose increases body fat. If you need to de-stress from a hectic weekend, or if you need to prepare to face a rough Monday, why not kick back and relax to this soothing video of scenes from a beach. And if the world interrupts while you're relaxing, tell them that they'll have to get by without you for a few minutes. A new study from researchers at Rensselaer Polytechnic Institute shows that by adding an invisible layer of the nanomaterials to the bottom of a metal vessel, an order of magnitude increase in efficiency is achieved in bringing water to boil. This increase in efficiency could have a big impact on cooling computer chips, improving heat transfer systems, and reducing costs for industrial boiling applications. "Air trapped in the forest of nanorods helps to dramatically boost the creation of bubbles and the efficiency of boiling ...."
There are no waste collections from households at all. People have to take full responsibility for everything they throw away. Kitchen waste has to be composted. 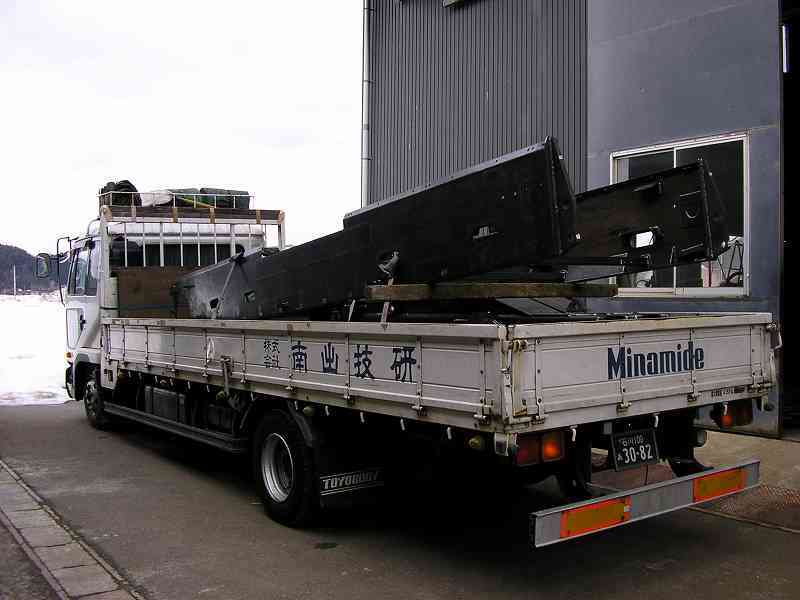 Non-food waste is processed either in local shops which accept goods for recycling or in Kamikatsu's Zero Waste Centre. There, people have to sort their unwanted items into 34 different boxes for recycling. Incidentally, Kamikatsu is officially one of Japan's most beautiful villages [in Japanese only, but click on the thumbnails to see wonderful slide shows of Kamikatsu]. Scenes from (officially) beautiful Kamikatsu. The photos of Asako Narahashi are controversial, but not in a don't-show-the-kids kind of way. 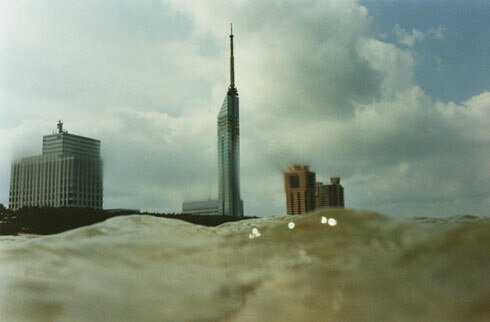 Instead, the controversy is: Are her photos enthralling and original, or just gimmicky? "Are these the marine observations of an aquatic creature or the final sights of a drowning man?" A Japanese TV show showcases a talent that very few humans possess — the ability to open a beer bottle with a helicopter. 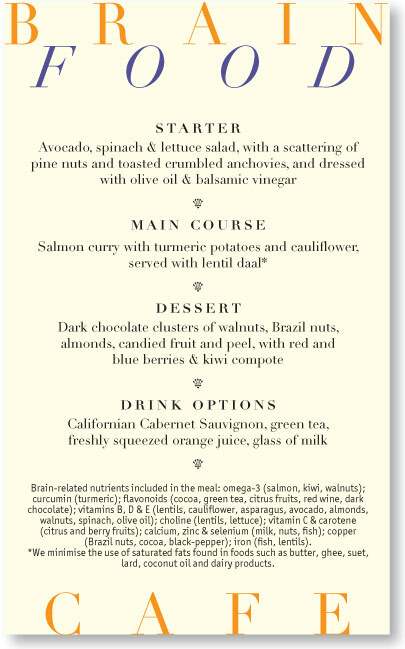 One group [of antioxidants] that has been evaluated, the polyphenols, has been shown in rodents to reduce oxidative damage and to boost the ability to learn and retain memories. In particular, these chemicals affect changes in response to different types of stimulation in the hippocampus (a part of the brain that is crucial to the formation of long-term memories, and which is the region most affected by Alzheimer’s disease). And guess which green beverage is rich in polyphenols? That's right — green tea. She's improving her mind in two ways: reading and drinking green tea. Green tea appears prominently under "Beverages". Japan's crows are tough — too tough for flocks of terns who spend the summer near Narita Airport after migrating from the southern hemisphere. One day, a local birder who had watched helplessly each year as the crows picked off tern eggs and hatchlings had an epiphany: Honeybees instinctively attack anything dark-colored that comes near their hive, so why not use that instinct to repel the crows from the terns' nests? Hang in there, Mr. Tern. The honeybees are coming! 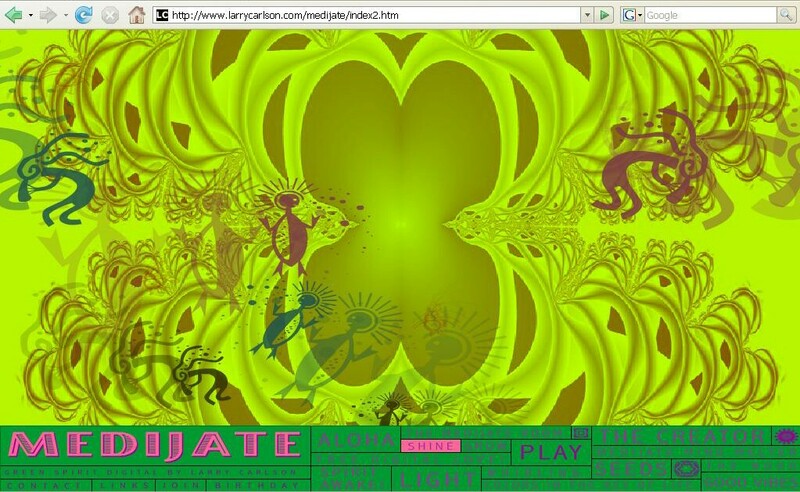 I don't know how to describe Larry Carlson's Medijate. It's strange, slightly creepy, but somehow entrancing and ultimately relaxing ... if you give it time. Once you open up the Medijate screen, try clicking on some of the options on the bottom, such as "Seeds" or "Aloha". Here's what the "Sign" screen of "Medijate" looks like. This screen capture doesn't do it justice, however. You have to see the moving graphics and hear the music to get the full effect. First, check out this time-lapse video of Kajima Construction demolishing an office building floor by floor from the bottom up, instead of imploding it with explosives, which I suspect is simply not feasible in the über-tight confines of the typical Japanese city. Read more about the technique here. Next, after hearing rumors about the air-powered hand dryer that actually works, I finally got to try out Dyson's 400-mile-per-hour Airblade　when I was at the airport the other day, and I was indeed impressed. It actually dried my hands thoroughly in only a few seconds. No more exiting the restroom while wiping your hands on your pant legs! Mr. Dyson, I finally forgive you for that noisy, overpriced vacuum cleaner that you sold to my wife. In Chapter 2 of "Stringing Tea," I describe how a film crew I was working with had to redo a shot of tea being brewed after the tea came out too dark. 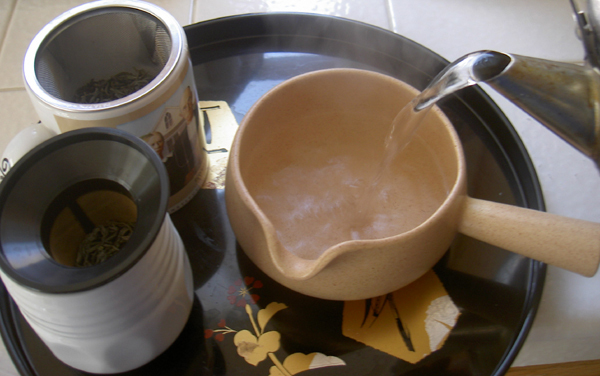 In our haste, we had just-boiled water poured directly onto the tea leaves. The tea grower who was doing the actual pouring wanted to cool the water first, but we were in a hurry. And besides, we weren't actually going to drink the tea — just film it being brewed. After the tea came out too dark to film, the grower explained that it was because the water had been too hot. But water that's too hot doesn't just ruin the color of tea: By essentially cooking the tea leaves, overheated water also spoils the tea's flavor and aroma. The ideal water temperature range for brewing green tea is between 70 and 80 degrees Celsius, or 158 to 176 degrees Fahrenheit. Different teas do better with different temperatures, but if you're new to green tea, a good starting point would be roughly 75 degrees Celsius (167 degrees Fahrenheit). But there's no need to break out a thermometer and a stopwatch when boiling water for tea. 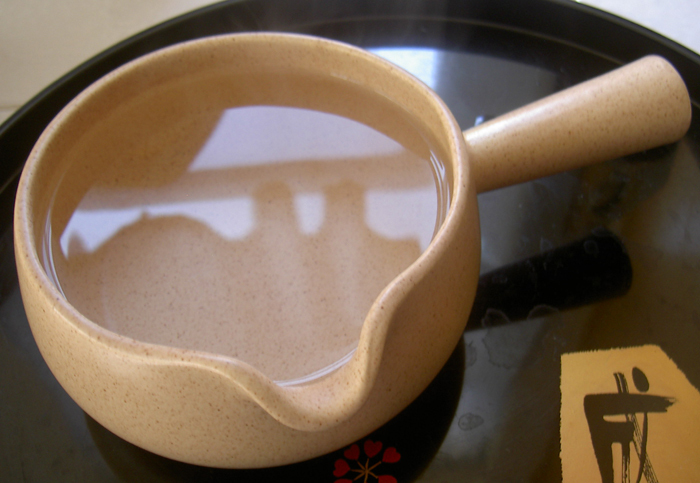 Instead, I've found that if you pour just-boiled water — from an electric kettle, say — into a Japanese-style yuzamashi (see the pictures below), then wait a couple of minutes, it will be well within the ideal temperature range. A typical yuzamashi. The wide mouth provides a large surface area, for rapid cooling of boiled water. Note that I intentionally used the vague phrase "a couple of minutes." This doesn't mean "precisely 2 minutes"; it means "a couple of minutes" — in other words, what you intuitively judge to be a couple of minutes, which I have found to be about as long as I can keep something in mind while doing something else. Any longer than this, and I forget the water altogether and it gets too cold. This is yet another example, Grasshopper, of how brewing tea is an art, not a science. Another cooling option is walking the kettle to the pot, but the problem with this is that it takes a lot longer than a couple of minutes for water to cool in the kettle in which it was boiled. It's not the waiting that's a problem, it's the forgetting. Instead of a Japanese-style yuzamashi (which literally means "water-cooler"), you can also pour boiled water into another teapot (other than the one in which you've put your tea leaves) or something else that's easy to pour from. Avoid using an empty mug, because I've found that it's almost impossible to pour from a cup or mug without spilling. If you've discovered Mellow Monk Green Tea, you're already three-quarters of the way to The Perfect Cup of Tea. But to make it the rest of the way requires good water at the right temperature. But the good news is that with a little practice, you'll get there quickly. Brewing green tea is, as I've said, an art, not a science. And it's definitely not rocket science. A yuzamashi in action. Never pour just-boiled water directly onto green tea leaves! Aging is the natural wear and tear of the body's component parts. It's inevitable, and endlessly intriguing. While many age-related changes cannot be prevented, a lifestyle that includes exercise and a well-balanced diet will slow or minimize many problems related to aging. 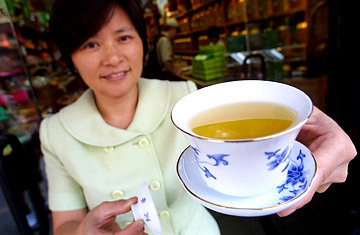 Read about green tea and aging here. Click on the image to see the huge full-sized version. 4. Art gallery openings. You don’t have to absolutely love art to have a great date at one of these events. They offer free wine, snacks and a place for conversation. Who needs more than that? 20. Test drive cars together. Gone are the days when it was inexpensive to just go for long drives together. Cars can still be romantic, though, and it’s a lot of fun to go test drive luxury vehicles that you’re not really going to buy. Outside it may look like a garbage truck, but on the inside it's one tricked-out ride. If you woke up inside this, you'd never think that on the outside it looked like this. Here's a nice, mellow video to relax to—five minutes of sunrise on a beach in Tasmania. So brew yourself up a nice cup of green tea, sit back, relax, and prepare to be transported to the shores of Tasmania [click for the larger version]. A new study shows that [green tea], which is more popular in Eastern cultures, can protect heart arteries by keeping them flexible and relaxed, and therefore better able to withstand the ups and downs of constant changes in blood pressure. I've recommended various kinds of strainers and filters as an easy way to brew loose-leaf green tea, especially when brewing tea for one. 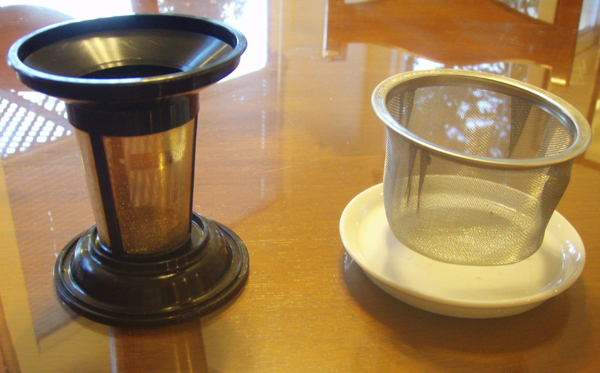 Below are pictures comparing a SwissGold inside-the-cup permanent tea filter with a chakoshi (tea strainer) that I bought for $5 at an Asian market. 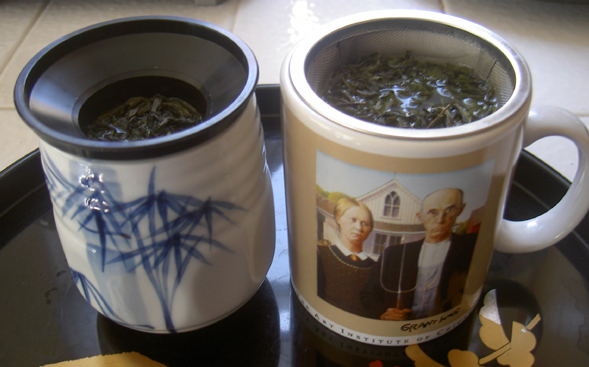 The chakoshi is actually made to go inside a teapot, but this particular size happened to perfectly fit my trusty mug. The SwissGold filter seems more ruggedly built and will probably better withstand cleaning or being knocked against a hard surface to dislodge sticky wet tea leaves. On the other hand, the teapot strainer is wider and allows the leaves to swirl around in the hot water more freely, for better steeping. As with everything else in life, Grasshopper, there are trade-offs. 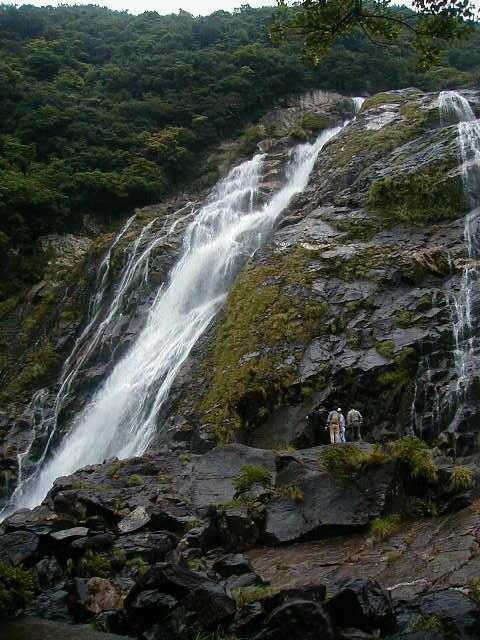 Yakushima — a World Heritage site — is a small, beautiful island located about 4 hours by ferry from Kagoshima City. Actually, it's only 2 hours by high-speed boat if you don't need to take a car, but with our mountain of filming, lighting, and recording equipment, leaving the van behind was not an option. 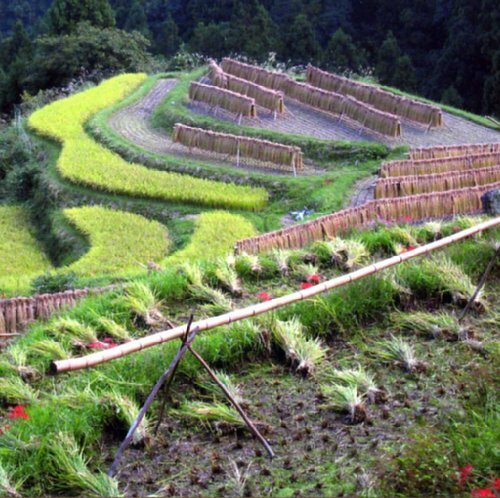 In the world of Japanese green tea, Yakushima, with its semi-tropical climate, is famous as the source of the nation's earliest shincha, or new spring harvest. We were heading there to film my meeting with a grower about whom I had heard wonderful things. He specializes in 100 percent organically grown green tea. 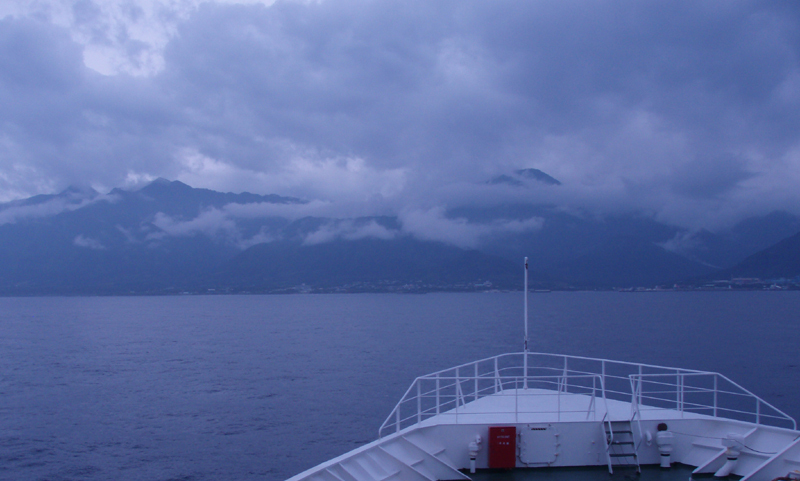 Before I saw the inside of the ferry that would take us to Yakushima, I wasn't exactly excited about the prospects of the 4-hour ride, and my already gloomy spirits were further dampened (literally) by the heavy rain that morning. We drove the van into the ship's dark, cavernous hold, then walked up the narrow metal stairway to the passenger deck. Our compartment turned out to be wonderful. Instead of seats, it consisted of a slightly raised, carpeted "sleeping platform" (somewhat like this one) roughly 20 feet by 20 feet, with blankets and pillows neatly placed all around. The room was brightly and naturally lit by large windows looking out onto the ocean. We removed our shoes and stepped up. Three of us sat on the carpet, leaning against the cool steel bulkhead with our legs comfortably extended, while Manuel, the sound engineer, grabbed a blanket and pillow and went directly to a horizontal position. Ilka, the director, was reading a book, Chris, the cameraman, was listening to his iPod, and I was munching on a sandwich I had brought with me. 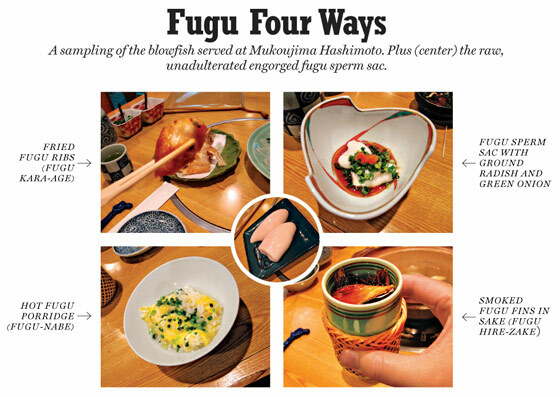 We were all in heaven — especially compared to the dark, cramped flights we had endured on our way to Japan. I had spent 11 hours elbow-battling my neighbor over our common armrest, eating crummy food, and watching bad movies on a tiny screen embedded into the back of the seat in front of me — whose occupant had, naturally, reclined the seat right into my knees as soon as the plane went wheels-up. But those horrors were a distant memory as I lay stretched comfortably out in the ferry compartment, letting the low, powerful hum of the engines lull me into a doze. Why can't the airlines be like this? Imagine how comfortable and relaxing a long flight would be if you could lay down and snooze, read, or watch a movie in a 180-degree flat position. The airlines should just remove all the seats from their planes. It's not as if being strapped into a seat has ever saved anyone's life in a fiery midair collision. As I pondered these thoughts, the ship's PA system crackled to life and the captain announced we were only 30 minutes from our destination. Chris removed his earbuds. "Time to get some shots of you as we approach the island," he said. Heading to the wind-blown bow of the ferry, we were greeted by an island shrouded in mist, with impossibly steep mountain peaks. "It looks like King Kong island," I quipped. But my comment was met with silence. Either the others were entranced by the island's beauty ... or they didn't get the joke. Once ashore we headed straight to the organic tea fields. Chris was positively thrilled when he saw none of the frost-preventing fans that had spoiled many an otherwise perfect shot elsewhere on our journey. The grower we met explained that the island's near-tropical climate was free of frost, hence the absence of the fans. While talking with the grower inside his funky wooden tea shop, our conversation was interrupted by a loud, startling metallic crash. Rushing outside, we saw that a member of the crew — who shall remain nameless — wanting to move the van out of a shot, had backed right into the only other vehicle in the expansive parking lot. Luckily, the other vehicle was a thick-framed truck. Close inspection didn't even reveal the slightest of scratches — in contrast to the deep dent in the rear hatchback door of our van. Oh well. Another unexpected expense. That's filmmaking. Once I had seen all I had come to see on the island — and tried the grower's amazing tea and bought a couple of samples to take back to the States — I caught the last ferry out. I spent three nights with friends and family in Kagoshima and Aso while the crew enjoyed the sights of Yakushima — waterfalls, wild monkeys, and egg-laying sea turtles, just to name a few. They had a wonderful time. Which was good, because they would need those positive memories to get them through some grueling shoots when we met again in Kagoshima. 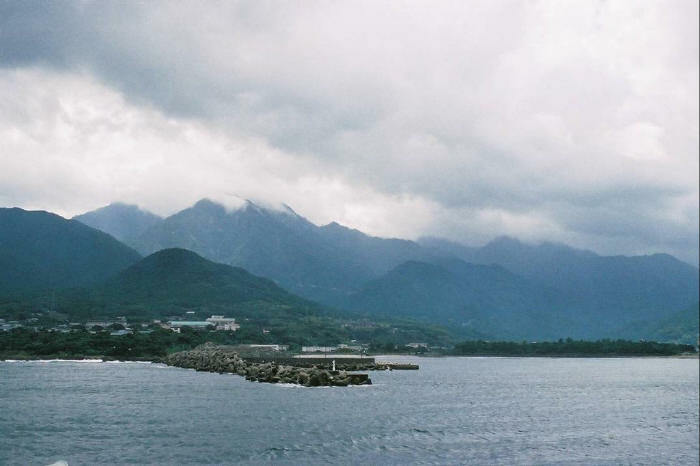 Thar she blows — King Kong Island, otherwise known as Yakushima. National Geographic has a great slideshow of translucent sea creatures. A comb jellyfish in the dark depths off Antarctica. The English-language edition of the Mainichi Daily News has a long, colorful slideshow of Japan's UNESCO World Heritage sites. Tame deer wander through Nara Park, one of Japan's World Heritage sites. * Don’t always “one-up”: It’s annoying when an acquaintance does it to you in a bar, so don’t do it to yourself. When you meet a goal you worked hard for, take a moment to celebrate the achievement instead of immediately focusing on what you can, or should do next. "This wireless Internet connection is slow ... but I'm going to satisfied that at least I got it to work in the first place." Kenichi Horie first achieved fame in Japan by becoming the first Japanese to cross the Pacific alone. He set sail from Hawaii on May 17 and completed the 4,000-mile voyage to Japan's Kii Peninsula in 110 days. 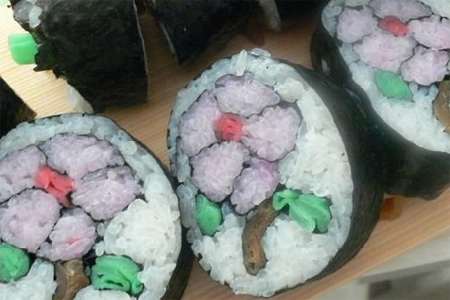 It's sushi, and you can eat it, but it's also art. Edible art. It may be art, but that doesn't mean you can hang it on your wall. Just a few cups of green tea a day can prevent heart disease, according to a study published in the European Journal of Cardiovascular Prevention and Rehabilitation. This looks like a second steeping — see how the leaves in the teapot have opened up? Get ready for the next fitness craze — resistance stretching, which 41-year-old record-breaking swimmer Dana Torres calls her secret weapon. By essentially pitting muscle against muscle, resistance stretching could be seen as a variation of Charles Atlas's dynamic tension, although the emphasis is on improving not just strength but flexibility as well, and without bulking up. In other words, the goal is to become what Ox would call a "lean, mean fighting machine." She's 41 and mother of a 2-year-old daughter. A healthy and thirst-quenching drink perfect for a hot summer's day: iced green tea with pomegranate juice. ...but ignore the part about using tea bags, however. Instead, brew your loose-leaf green tea the way you normally would, pour it into a mug or cup filled with ice, leaving a little room in the cup for the pomegranate juice. Then, once the tea has chilled (it only takes a minute or so), add in about half an inch of pomegranate juice. You can also chill your brewed tea before pouring it over ice — you get less melting and therefore less dilution of the tea. If you're going to be using hot tea, you can brew your tea on the strong side to allow for dilution by the melting ice. More tips and recipes for iced green tea are available here. 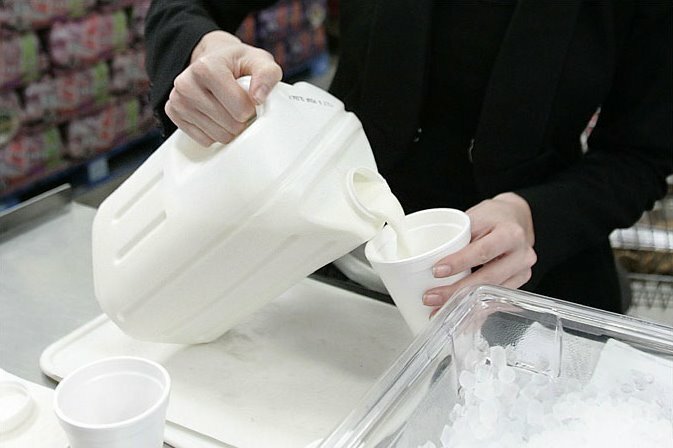 Change is sometimes inevitable and inescapable, so the only thing to do about the new eco-friendly milk jugs is to embrace them enthusiastically. 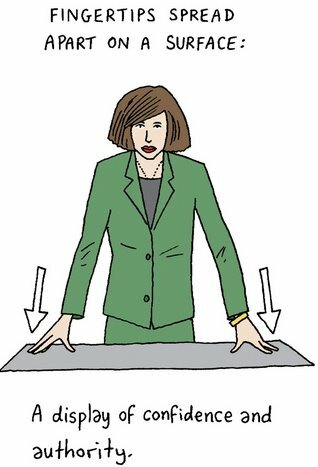 The secret to pouring without spilling is to tilt it downward without lifting it up off the table, as shown in the picture below. And don't forget to save a couple of those jugs to make Mizudashi Iced Green Tea. Speaking of water, this article about sea water desalination has an illustrated, easy-to-understand explanation of how reverse osmosis filtration works. The same technology that's being considered as a solution to global shortages of drinking water is already popular as an on-site water-filtration alternative to trucking and lugging around those huge bottles of water for home and office water-coolers. Resting the edge on the table as you pour is the secret to preventing spilling.